During an investor conference in Whistler, British Columbia, on 25 January, Chuck Magro, Nutrien's President and CEO, told that the company has an intention to stop buying phosphate rock from Western Sahara. This was reported by Reuters. Adala UK demands an independent investigation into the death of ‘Minatu’ in occupied Dakhla. According to information provided by her family, the Moroccan Occupation Authorities are not going to investigate the death of Minatu Ahl Shikh, a young woman who was murdered in Occupied Dakhla during the night of Saturday 14th October 2017. Her family and other witnesses have explained that Minatu Ahl Shikh went missing that evening having left home to buy a few things in a shop local to their house. The Moroccan authorities have spent decades imprisoning Saharawis who support self-determination in the Occupied Territories of Western Sahara. They then send detainees to prisons in Morocco, thus depriving them of their basic rights such as family visits, medical attention and opportunities to study. The Moroccan occupation authorities have allowed the police and security forces in the Occupied Zones of Western Sahara to use excessive force against Saharawi protesters. 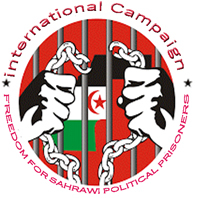 The Royal Moroccan Government must end the violence against Saharawi civilians and when any members of the security forces are found to have violated people's human rights, they must be brought to justice. Windhoek — President Hage Geingob has reminded the world that the protracted Western Sahara issue still needs sorting out. Namibia has on many occasions undertaken not to tire in its quest to see Morocco, which was recently re-admitted into the African Union (AU), give up its illegal occupation of Western Sahara. WSCUK is an independent voluntary organisation founded in 1984 with the aim of supporting the recognition of the right of the Saharawi people of Western Sahara to self-determination and independence and to raise awareness of the unlawful occupation of Western Sahara. “Over a month ago I did respond to Deus Kibamba’s opinion regarding the conflict between my country, the Sahrawi Republic (SADR), and Morocco. I did so then, as I am doing it now, in an act of legitimate self-defence. Deus Kibamba appeared out of the blue to defend, with unfounded statements and wrong concepts, the expansionism of Morocco and to misinform about the Maghreb region. Emhamed Khadad, an adviser to the president of the Saharawi Arab Democratic Republic, is the Polisario Front’s coordinator with the UN Mission for the Referendum in Western Sahara. Reacting to news of the extreme sentences imposed by the Moroccan authorities against a group of Saharawi activists (which include life imprisonment), the President of the World Peace Council, Socorro Gomes, has issued a statement this Sunday (23) to strongly reject the persecution of the activists and to call for the end of the occupation of Western Sahara by the Kingdom of Morocco.